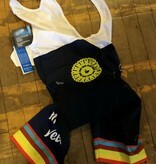 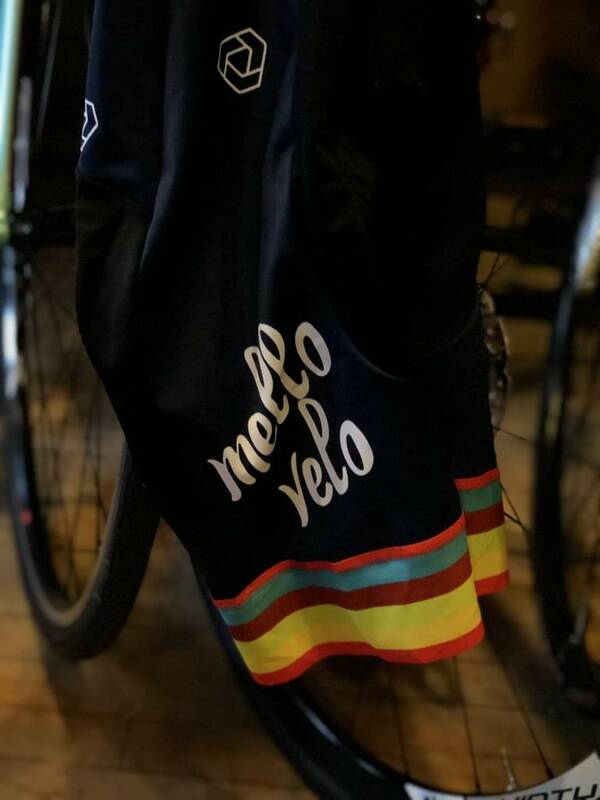 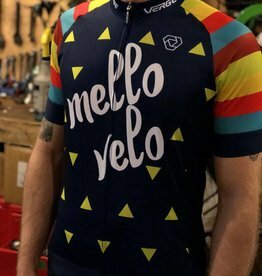 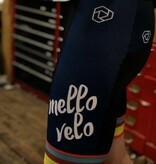 New 2018 Mello Velo Team Men's Bibs. 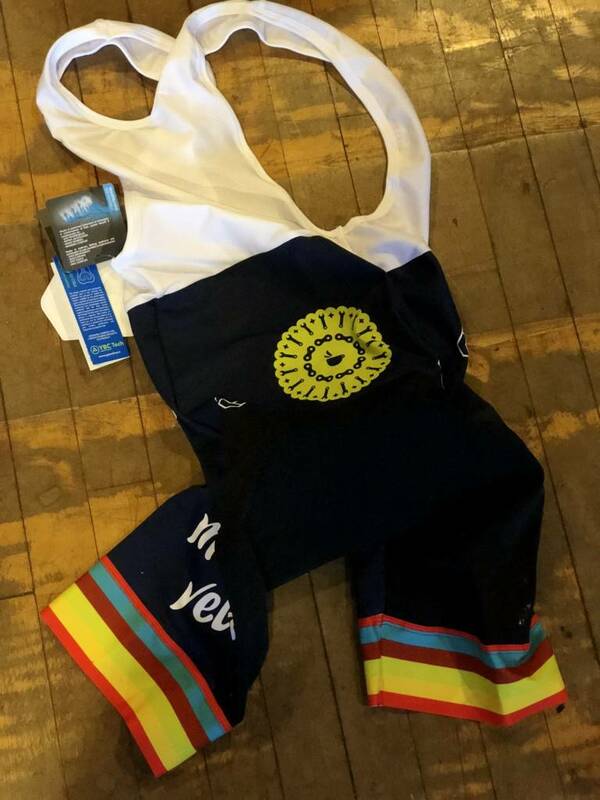 The Core+ bibs update the classic form for a better fitting, more comfortable bib. 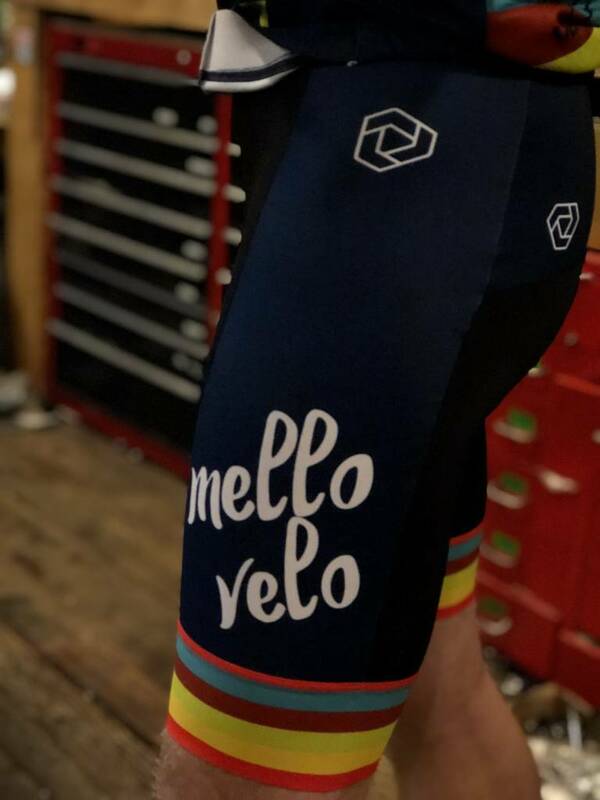 Performer Power Lycra fabric is an optimal canvas and provides ideal muscle support, and the Clutch+ grip band is custom printable with a seamless, comfortable edge that stays in place with minimal tension. 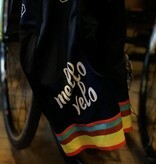 Airy Mesh-Tech bib straps hold the shorts in place without pulling or overheating even after a full day in the saddle.